Over the past 20 years 80% of our funding has come from the local community. 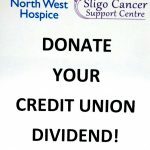 Without this there would be no cancer support service in Sligo. With your help we can continue to provide support for the one in every three people now receiving a cancer diagnosis. 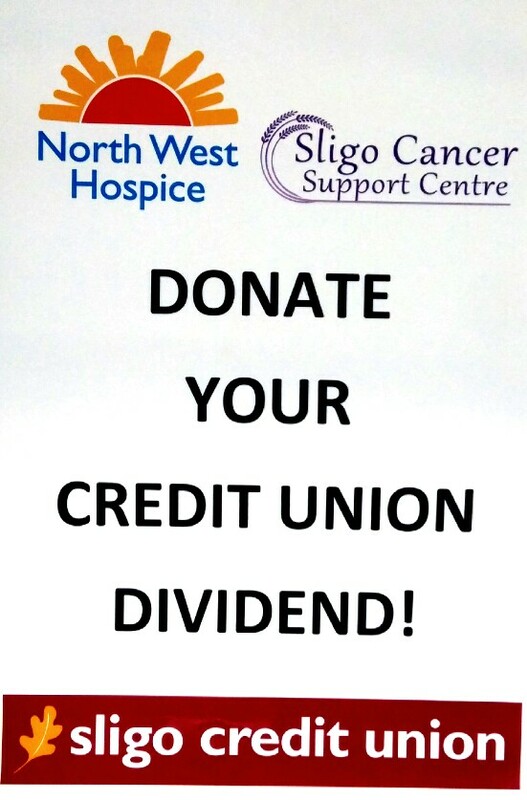 If you could please possibly donate your Credit Union Dividend to Sligo Cancer Support Centre this year. You cannot even begin to imagine the enormous difference it makes to every patient and their families. It takes away the struggle and allows the patient be carried through the difficult days. Today we are currently supporting 768 patients and their families at our centre in Wine St. Our mission is to provide a place of tranquillity, of peace, of rest and above all hope for the future. Here, healing is provided through counselling psychology, holistic therapies, group support and workshops. Lives are transformed in the process and lifelong friends are made. At the centre people find that it’s not so much about cancer, but recovery and getting back to full health. Whether you are four years or eighty years old there is a programme to help you heal and recover at our centre.